AVAILABLE IN PACKS, OR COMPLETE TOWERS. 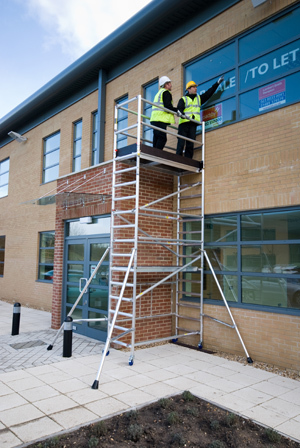 CAN BE BUILT UP TO A SAFE WORKING HEIGHT OF 7.8m. COMPRISES 1 X FOLDING BASE UNIT & 1 X 1.8m TRAPDOOR PLATFORM. 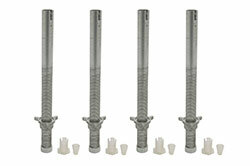 MINIMAX BASE UNIT GUARDRAIL PACK. 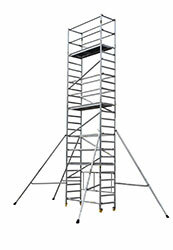 FOR USE WHEN DECK IS PLACED ON 3RD RUNG GIVING A SAFE WORKING HEIGHT OF 3.1m. COMPRISES, 2 X 8 RUNG END FRAMES, 4 X HORIZONTAL BRACES, 3 X DIAGONAL BRACES, 1 X 1.8m TRAPDOOR DECK. COMPRISES 2 X 1m GUARDRAIL FRAMES. 1 X DIAGONAL BRACE. 5 X HORIZONTAL BRACES. STABILISERS ONLY REQUIRED FOR EXTERNAL USE. Please note this product may be subject to 15 days lead time. 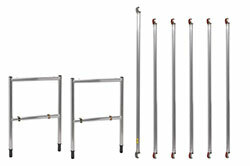 MINIMAX BASE UNIT AND BASE UNIT GUARDRAIL PACK FOR WHEN THE BASEUNIT PLATFORM IS REQUIRED TO BE POSITIONED ABOVE THE 3RD RUNG.